Each year TICAL (http://www.portical.org) holds an annual School Leadership Summit. This year's Summit, on June 24th from 8:00-4:30 PDT, will focus on the pillars of the U.S. Department of Education's Future Ready Pledge. The Pledge is a commitment by district leaders to work with educators, families, and community members to make all schools in their districts Future Ready. Future Ready Schools: the School Leadership Summit will be held online using Google Hangouts on Air. The event will be free for all to attend and to watch the recordings. You must register to watch the event live or to see the recordings. This is truly a collaborative event made possible by the leading organization and event partners. For more information and to register, please go to http://www.futureready.education. Keynote speakers and breakout sessions will be aligned to the Future Ready School's framework, and will encourage school leaders and administrators to learn more about the initiative. Admin20.org is the online community-of-practice network for TICAL and the Summit. Continuing networking and conversation will take place on that site, as well as individual connecting between attendees and presenters. Future Ready highlights the critical role of district leaders in setting a vision and creating the environment where educators and students access the tools, content, and expertise necessary to thrive in a connected world. The Future Ready Pledge and Regional Summits are an important step to realizing the goals of the ConnectED Initiative announced by President Obama in 2013 to connect 99% of students to high speed Internet and empower teachers with the technology they need to transform teaching and learning. 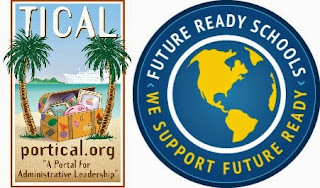 For the last two years, TICAL (portical.org) and Steve Hargadon (LearningRevolution.com) have hosted a free, online, peer-to-peer global/U.S.-centric conference for school leaders and administrators called the School Leadership Summit (SchoolLeadershipSummit.com). This event has had special keynote speakers (including Yong Zhao, Eric Sheninger, Scott McLeod, and Pam Moran) as well as dozens of practitioner-led sessions focused on the ISTE Standards for Administrators. Sessions included: Using Technology to Bridge the Rural/Poverty Divide, Data Privacy and Our Students - How much is being shared and who are we trusting with the information?, and Facilitating 21st century Learning with Technology- Navigating the Change with a 20th Century Mindset. TICAL provides professional development to help K-12 leaders provide informed and effective leadership in the use of technology to improve education. Starting in the year 2000 under the auspice of the Santa Cruz County Office of Education, TICAL was contracted by the California Department of Education. In 2002, the Arkansas Department of Education contracted the TICAL project to serve educational leaders in their state. The TICAL Project consists of a 3-pillared professional development approach including (1) Local PD: A core group of 20+ principals, superintendents, curriculum leaders, and other educational leaders representing all geographic regions of CA and AR who receive training and provide regional support. (TICAL Leadership Cadre); (2) Statewide PD: A statewide technology leadership symposium (Leadership 3.0 in CA and TICAL Conference in AR) and an online, global conference for NO-COST (School Leadership Summit); (3) Online PD: A website of resources including tutorials, templates, and promising practices of technology integration and leadership (www.portical.org) as well as an online Community of Practice for ongoing discussions and resources sharing (www.admin20.org) and monthly webinars on trending leadership topics. 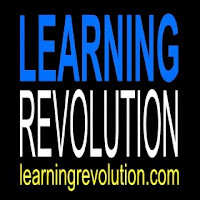 The Learning Revolution Project holds online and physical learning events, and highlights professional development opportunities from a network of 200 partners in the learning professions. The great majority of these events are free to attend by virtue of sponsors and special partners (like TICAL). In addition to the School Leadership Summit, Learning Revolution holds annually a number of conferences and summits, including the Global Education Conference, the Future of Libraries, the Future of Museums, and the Student Technology Conference. These events draw tens of thousands of attendee log-ins annually, and the weekly Learning Revolution newsletter is sent to 130,000.